A holiday meal is not complete without green beans. I love them, and no matter how they are prepared, they just seem to make the meal complete. 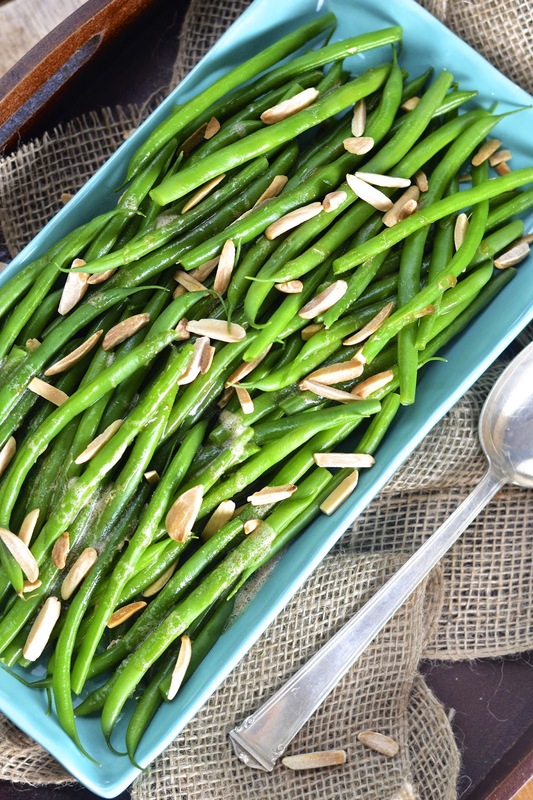 On Thanksgiving I prepared these green beans with brown butter and toasted almonds. 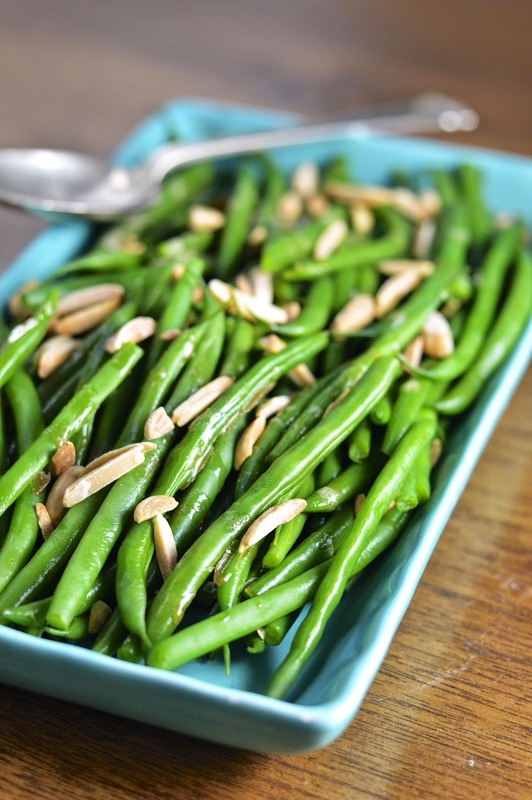 They are super easy to make and the simple nutty flavors turn green beans into a perfect holiday side dish. There are basically four steps to this recipe – blanch green beans, brown butter, toast almonds and toss together. If you are looking to simplify your holiday meal, this is the way to do it. You can even blanch the green beans earlier in the day and set them aside until your ready to make dinner. This magically takes away one of the steps during crunch time! Seriously though, how can you go wrong with brown butter? The rich nutty flavor pretty much makes everything taste better. Enhancing this flavor with crunchy toasted almonds and a touch of kosher salt is downright delectable. I highly recommend adding this recipe to your holiday collection. Recipe note - I used a 12 ounce bag of Haricots Verts from Trader Joes. They are affordable, delicate and delicious. Bring a large pot of salted water to a boil. Add green beans and cook for 1 to 3 minutes until beans are bright green and crisp tender (1 to 2 minutes for baby green beans and 2 to 3 minutes for regular sized ones). Drain and submerge beans into a bath of ice water to stop the cooking process. Preheat oven to 350°F. Arrange almonds in a shallow baking pan. Place in oven and bake for 5 minutes. Stir almonds and continue to bake until they are golden brown about 5 to 10 minutes more. Check every couple of minutes to be sure they are not burning. Set aside. In a small saucepan slowly melt butter over medium heat. Stir occasionally and cook butter until it turns a toasted brown color (butter will foam as it cooks). Transfer the butter to a heat proof bowl and set aside. Drain green beans and pat dry. In a large skillet heat olive oil over medium high heat. Add greens beans and cook until heated through, 2 to 3 minutes. 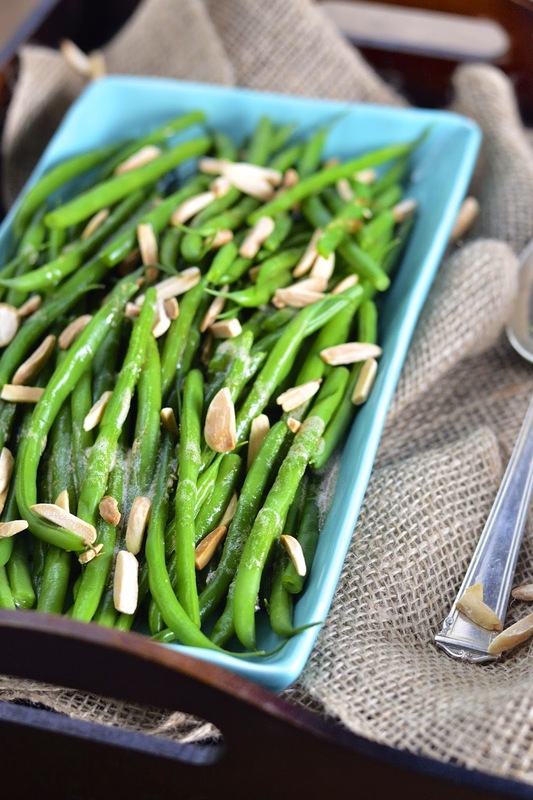 Transfer the green beans to a serving dish - drizzle with brown butter and sprinkle with almonds. Toss and serve warm.